Habitat : Grows in marshy places and cultivated south india. 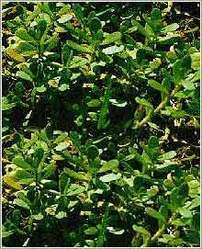 Uses : It is diuretic, cardiac, nervine and tonic. It is reported to improve intellect, treatment of asthma, hoarseness, insanity, epilepsy. It is a potent nervous tonic and is anti anxiety agent. It is considered good for heart. It helps protect the stomach from ulcer formation. It is promising blood purifier and useful in diarrhea and fevers. Chemical Constituents and Components : Main chemical components are saponins, bacosides, bacopasides, monnierin, brahmine, nicotine, herpestine and hersaponin. Saponins / Bacosides: 1. Bacosides A enhances the body’s antioxidant defenses by increasing superoxide dismutase (SOD), catalase (CAT) and glutathione peroxidase (GPX) activities. 2. They maintain the structural and functional integrity of the mitochondrial membrane by inhibiting excessive lipid peroxidation & creatine kinase, improving the activities of ATPases and maintaining the ionic equilibrium. 3. They protect gastrointestinal health by raising mucosal defensive factors. 4. They appear to play a protective role in the synaptic functions of the nerves of the hippocampus and contribute to treat impaired memory. 5. They are effective in repair of damaged neurons by enhancing kinase activity, neuronal synthesis and restoration of synaptic activity, cholinergic activity and nerve impulse transmission. 6. They stabilize mast cells and possess anti-inflammatory activity via inhibition of prostaglandin synthesis and lysosomal membrane stabilization. Curing Diseases : 1. It is used to treat impaired memory, epilepsy and insanity. 2. It is used to treat skin diseases, leprosy, leucoderma, eczema and psoriasis. 3. 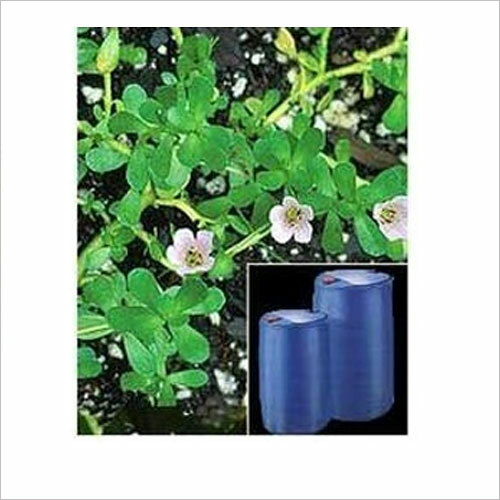 It is used in treatment of hoarseness, asthma, bronchitis and ulcer. 4. It is used in inflammations, tumor, splenomegaly, dysmenorrhoea and general debility. Possible Combinations : Bacopa monnieri + withania somnifera + ocimum sanctum + emblica officinalis (hair tonic).